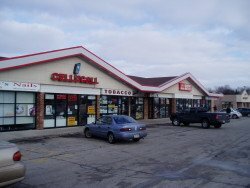 Outlook Management Group, LLC is proud to announce that it has been awarded the property management assignment for Timmerman Commons Shopping Center located 10380 and 10400 Silver Spring Drive in Milwaukee, WI. “We are excited about this new opportunity and look forward to providing our client with value-add professional property management services and construction management services during the planned facade renovations” said Ray Balfanz, President of Outlook Management Group, LLC. Timmerman Commons is the newest addition to our portfolio which consists of over 1,052,000 square feet of retail, medical office and industrial properties in Milwaukee, Madison, Green Bay, Hoffman Estates, IL and Nashville, TN. ~theBrokerList Team is always pleased to share news about its members. When you have news to share, submit your news to us at [email protected] To become a regular contributor to our blog, learn more here.